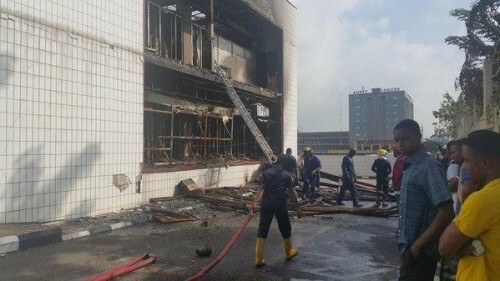 Popular Supermarket and one of the oldest malls in Abuja was on Friday the 23rd October razed by fire! 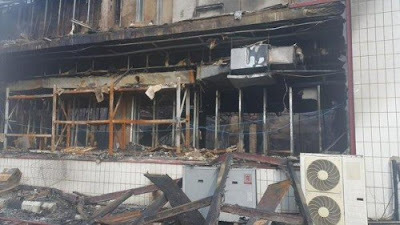 A member of staff at the mall said at the moment no one could tell the cause of the fire. The security personnel at the gate stopped onlookers and journalists from gaining access into the premises. We were told that thankfully, everyone made it out alive and the fire service were there on time.